Insurance Protection at the Lowest Cost! 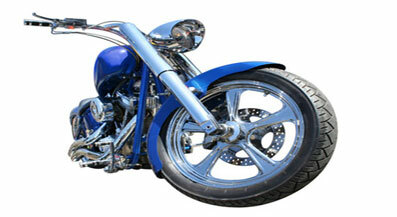 Call 866-869-3335 Get the Right North Carolina Motorcycle Insurance Protection at the Lowest Cost! Within a month of getting his 2009 Harley Davidson Softail Deuce back together and after spending more to $12,000 on a custom paint job, new Vance and Hines pipes and a lot of extra chrome, Danny laid it down after a car veered into his lane forcing him off the side of the road. Fortunately, he had just a few scrapes and bruises but his bike suffered far worse. The forks were bent, nearly all of chrome on the right side was damaged including the new pipes and the custom painted tank badly dented. But it gets worse. When Danny called his insurance company (that he found on the internet), he was shocked to discover all of his hard work and money spent on upgrading his bike was not covered. The insurance company agreed to only pay for a total of $2379 for the damage to the original parts on the motorcycle. They never told him that anything he does to the bike is not covered unless he adds special coverage for the custom parts and accessories. 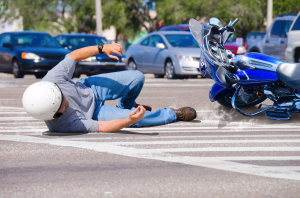 That is why you should only trust an agent that understands North Carolina Motorcycle Insurance and can give you the right coverage for your motorcycle.